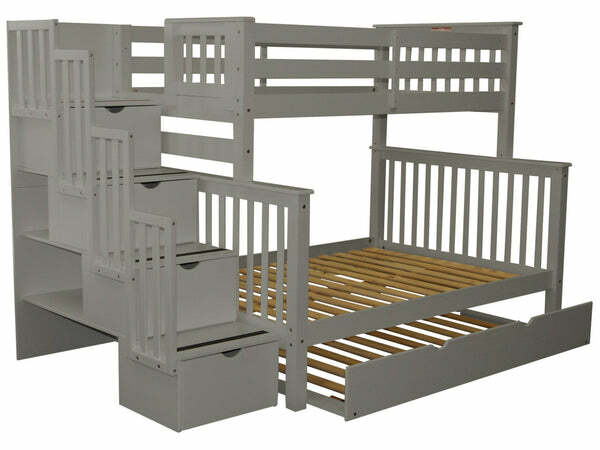 Set includes (4) Side Rails (2) Head Boards (2) Foot Boards (28) Wood Slats Center and Center Supports (1) for the Top Bunk and (1) for the Bottom Bunk. 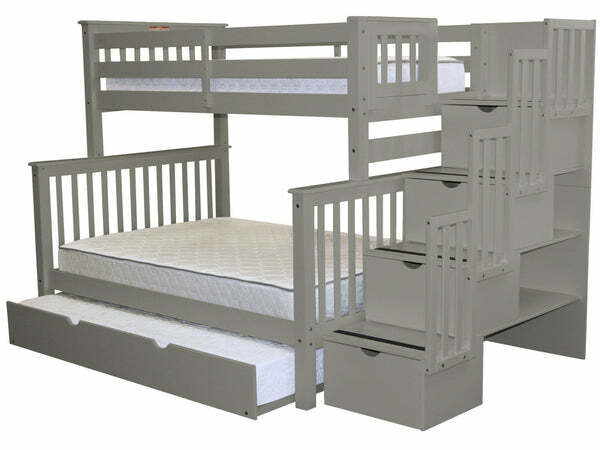 (4) Guard Rails on both sides for the top twin bunk. (4) Drawers (4) Step Stairway access + (1) Twin Trundle with (10) Slats. 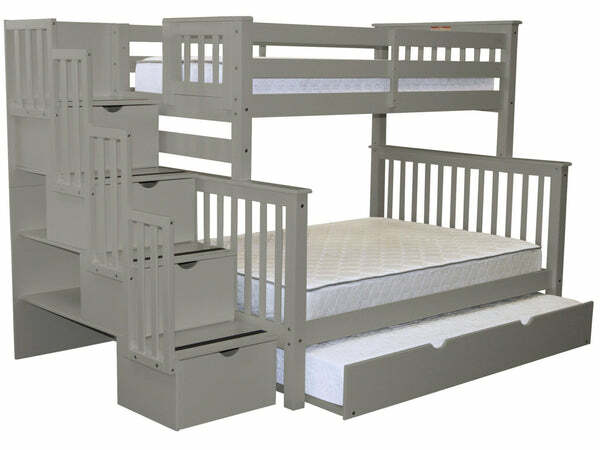 What is weight capacity for each bed?